The 1J3W004800 Bleed Screw Kit can be ordered. View linked machines. 1J3-W0048-00 is the manufacturercode. 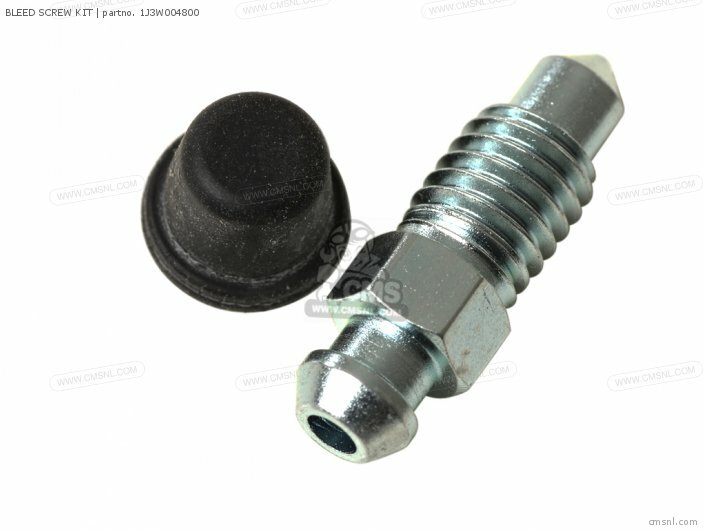 Simplify the overhaul of the brake cylinder with this relatively inexpensive Bleed Screw Kit. When fitted correctly these items will help bring the brakes back showroom fresh effectiveness. For all your brake parts requirements, check our online schematic for your model. This service offers at a glance availability and prices, allowing you to specify a more comprehensive order, saving money and time. Add as many items as you wish to your shopping cart combining shipping costs with a multiple order. If you want to discuss this BLEED SCREW KIT, please go the forum and post a message.For questions about Yamaha Xs1100 1981 (b) Usa, please write a message in the forum.